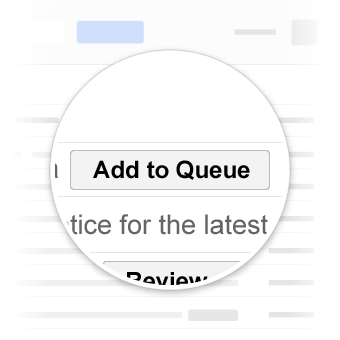 One-click actions allow users to perform operations directly from the inbox without having to leave Gmail or Inbox. One-click actions are performed by declaring an HttpActionHandler with your service URL. For more details, refer to Handling Action Requests. 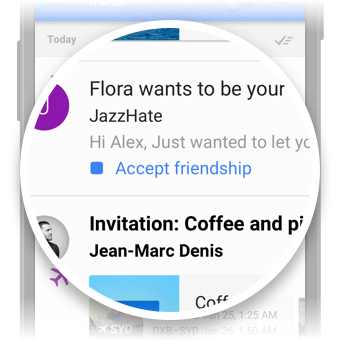 One-click actions in Gmail and in Inbox. The RsvpAction can be used to provide a more specific user experience. SaveAction can be used to describe interactions like saving a coupon or adding songs to the listen queue. SaveAction can only be interacted with once. "description": "$5 meal at Joe's Diner"
For properties available to these actions, refer to the documentation for the specific types ConfirmAction and SaveAction.